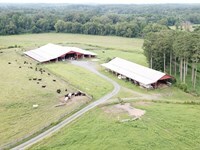 Creekside Farm is a premier cattle farm located in Carroll County, Georgia. 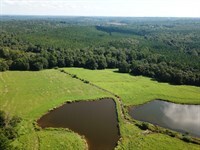 The farm consists of 123+/- Acres of fenced and cross fenced pasture. Most of the farm borders Indian Creek. Broken into 7 large paddocks, and several smaller paddocks, this farm is set up for grazing management. 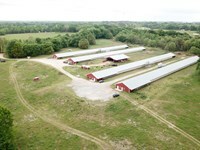 The farm has many features for improvements. 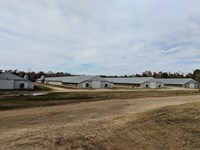 The cattle working barn is 36×150 that includes a hay loft in about 1/3 of the barn and an office in the front area. 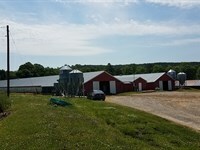 This barn has a concrete load out, squeeze chute, sorting pens, and holding areas. 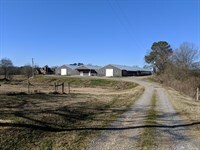 Next to the working barn is the hay barn which is also 36×150 and is open throughout. 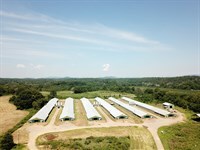 An equipment barn also offers additional hay storage. 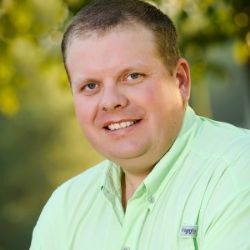 There is a commodity shed that has a concrete floor, commodity bays, and an auger system that feeds off of four 18 ton bins and one 40 ton bin. The fencing through out the farm is mostly field wire or 6 strand barbed wire fencing. Most of the fencing has been replaced over the past 8 years. 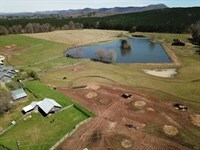 Each paddock except for the large bottoms has an automatic water tank. The multiple road frontages does not disrupt the flow of cattle through the farm. There are culverts or crossings under bridges that allow you to move cattle under public roads. 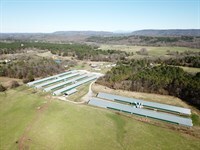 The farm has over 13,000 feet along Indian Creek. Indian Creek is a deep flowing, shallow bank creek that can be canoed. Some of the land is located in a flood plain, but the creek does not overflow very often. 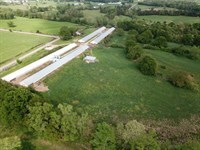 This farm has the capacity to maintain around 50-60 brood cows in typical rainfall years. The warm season forages will consist of Bermuda, Dallisgrass, and crabgrass. This farm will have some Fescue on it, but is limited to just a few areas. This makes a perfect blend of year round grazing when you over seed with an Annual Ryegrass and small grains. 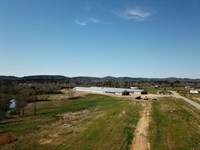 A good portion of this farm could easily be irrigated with the pod irrigation systems that are readily available today. 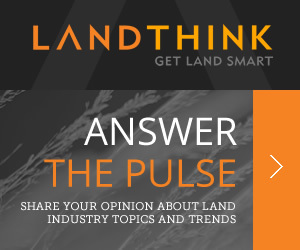 When calling agent, please say, "I found your listing Creekside Farm-Cattle Farm In Carro on LANDFLIP."